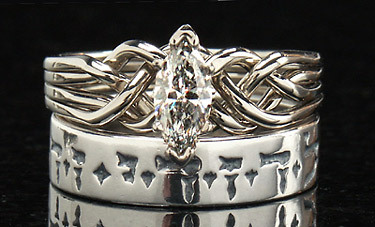 The image below shows the Hebrew I am my Beloved’s and my Beloved is mine poesy ring with a standard weave marquise diamond puzzle ring. 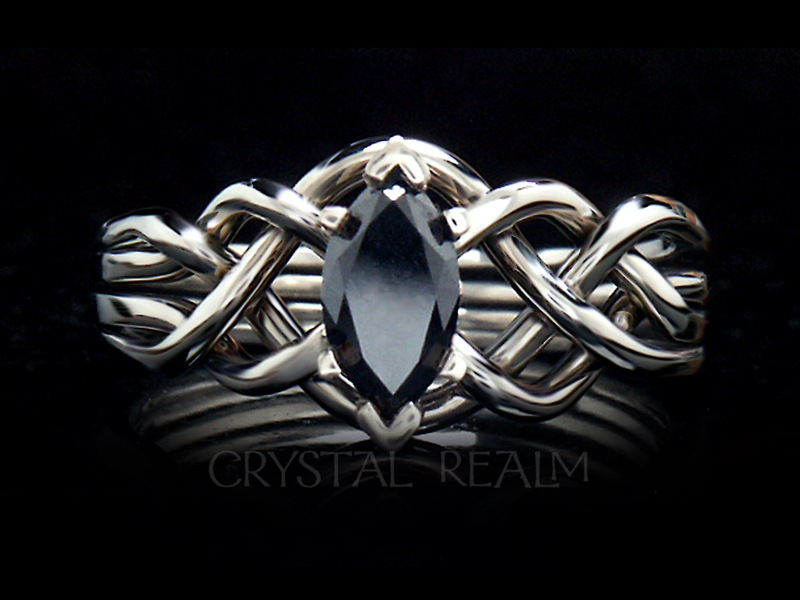 Yes, this Celtic-inspired puzzle ring really does come apart and go back together. 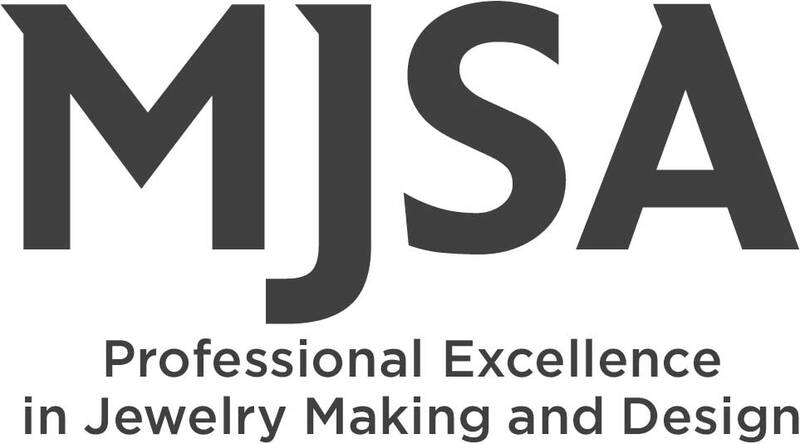 We have really great written, animated, and video instructions on our site. 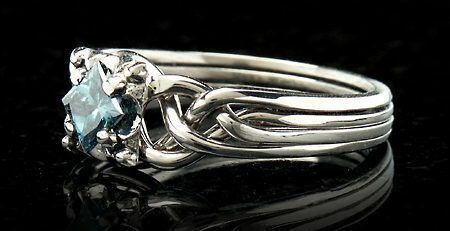 When you want to pair a puzzle engagement ring with a traditional poesy ring, I usually recommend that you go with the standard weave. 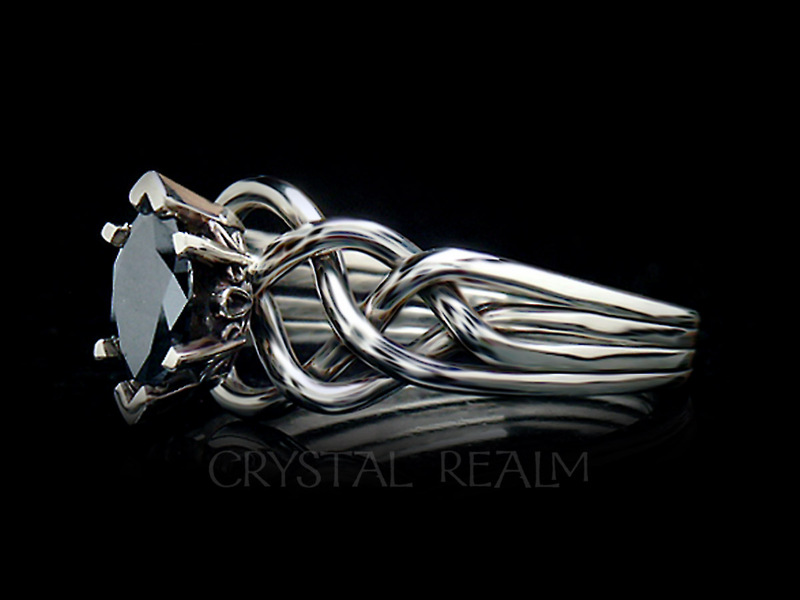 A puzzle ring with a tight weave is flatter along the sides, so a wedding band will lie flatter alongside it. But most people prefer the standard weave, because to most of us, it is a little prettier than the tight weave. 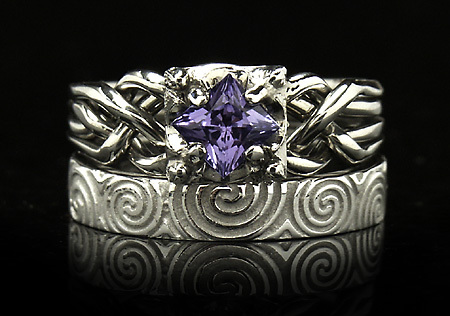 This set is shown in 14K white gold. 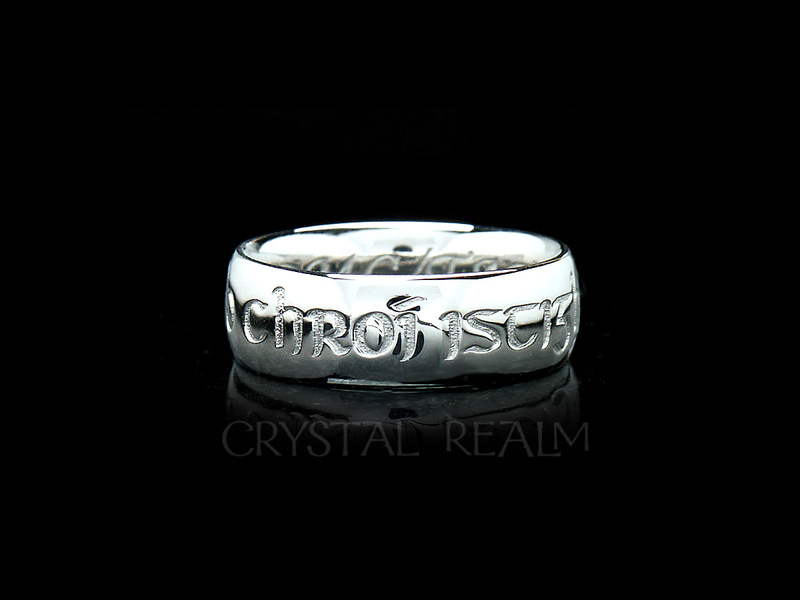 We can make it in 14K yellow or rose gold or platinum. And what on earth is Italian Hebrew? Well, it is a script that was developed in 16th C. Italy to express the Hebrew language. You can think of it like a “font.” Today we type English in Times New Roman, in Arial, or in any number of fonts. They all express English equally well (not to mention any of many other languages). So you could call this an Italian Hebrew font. 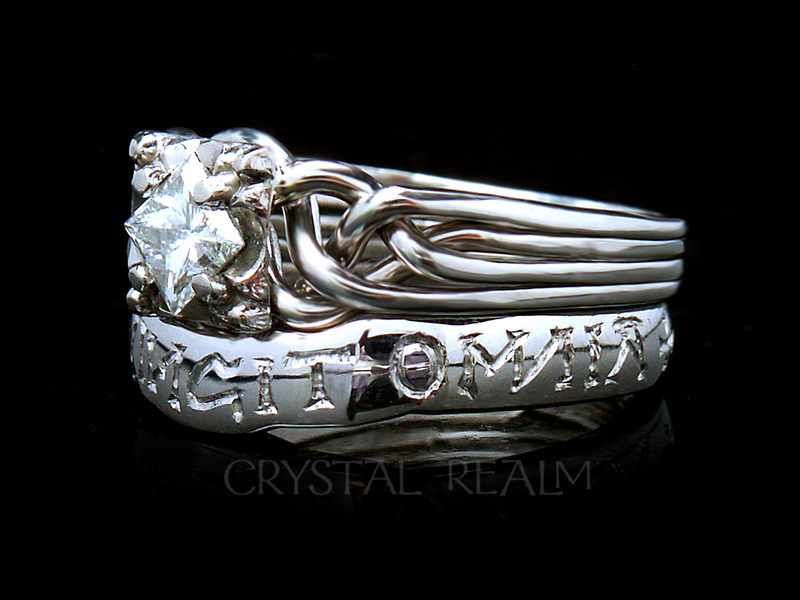 This poesy ring celebrates Solomon’s Song of Songs from the Bible, the most romantic passage in that holy book. 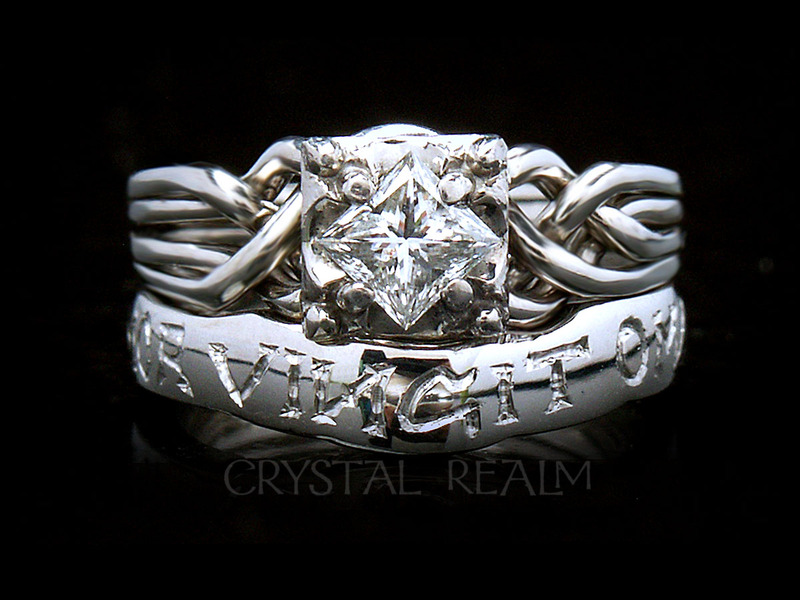 It is a beautiful sentiment for a bridal set, don’t you agree? 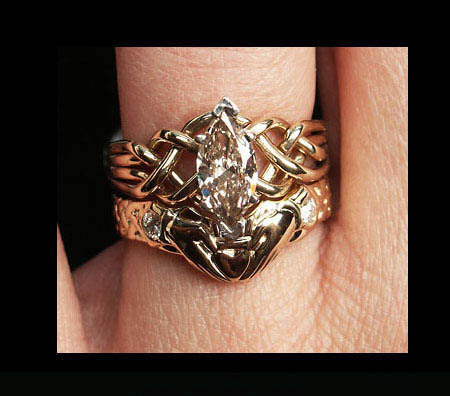 Choose your puzzle ring style, weave, and diamond size. 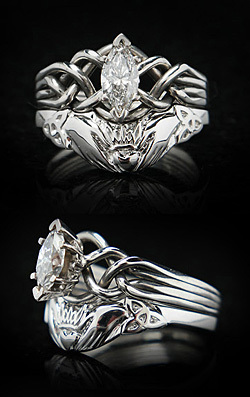 And see this set and its options for different precious metals and sizes of diamonds. 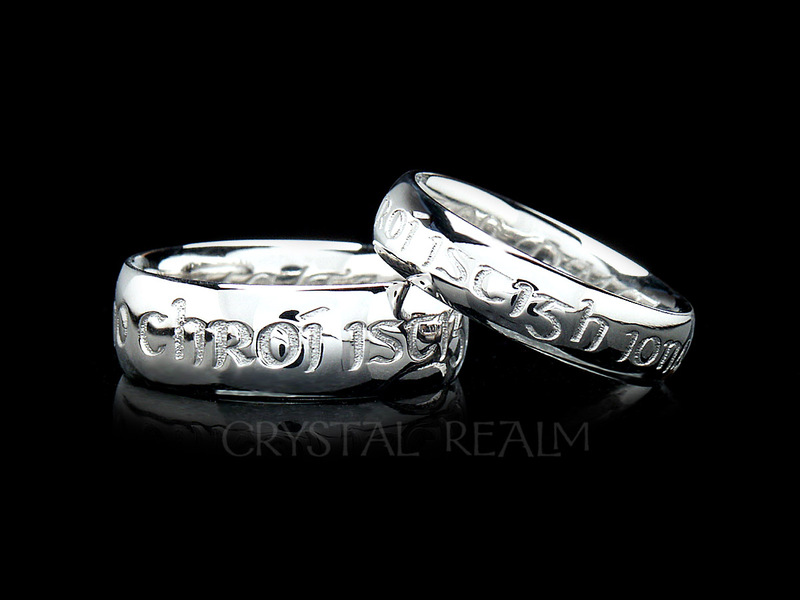 And you can also find the groom’s poesy ring in the same metals.